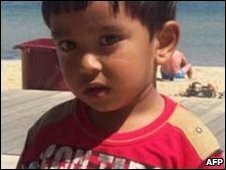 Police in Australia’s south-eastern state of Victoria have charged a man with manslaughter in relation to the death of a three-year-old Indian boy. Dhillon Gursewak, 23, lived in the same house in the Melbourne area where the boy was staying during his holiday. He is not said to be a relative. He is accused of criminal negligence, Australian media reported. Gurshan Singh’s body was found on Thursday by the side of a road about 30km (19 miles) away from the house. His parents had reported him missing. 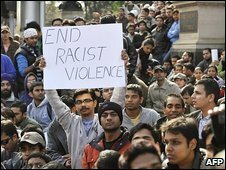 There have been a number of racist attacks on Indians in the past year. Australian officials have warned against jumping to conclusions. Police have been treating the incident as a possible homicide. No cause of death has yet been established and the boy’s body is said to have shown no signs of injury. Gurshan Singh, who was visiting from Punjab in northern India, disappeared from a house in the north of Melbourne early on Thursday afternoon. About six hours after his disappearance, a council worker found a body at the side of a road which police said matched the boy’s description. The boy, whose mother was studying in Australia, had been in the country for about six weeks. His death came as Australia was making efforts to improve relations with India, a major export market, after a series of alleged race attacks. The latest known attack was in January when Nitin Garg, 21, was stabbed to death as he walked to work at a burger restaurant. Australia’s foreign minister had earlier acknowledged that some of the attacks, which prompted street protests last year, were racially motivated. Earlier, senior officials and police had denied this. Last month, thousands of Australians visited Indian restaurants for a Vindaloos Against Violence campaign, aimed at showing solidarity with the 450,000-strong community. “The social stigma will remain. It is [still] a long struggle. But the ruling will help in HIV prevention. Gay men can now visit doctors and talk about their problems. 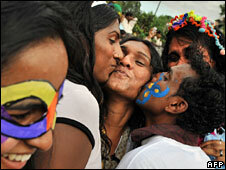 It will help in preventing harassment at police stations,” Mr Kavi told the news. Are you in India? What is your reaction to the court ruling? 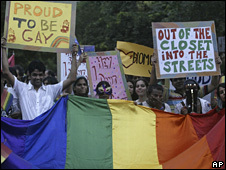 How will it change life for homosexuals in India? A Yemeni airliner with more than 150 people on board has crashed in the Indian Ocean near the Comoros islands. Some bodies have been found and a child rescued alive, officials from the carrier, Yemenia, said. The Airbus 310 flight IY626 was flying from the Yemeni capital Sanaa, but many passengers on the plane began their journey in France. The cause of the crash is not clear. 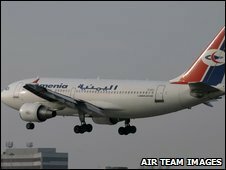 A French minister said faults were found on the plane during a check in 2007. “The A310 in question was inspected in 2007 by the DGAC [French transport authorities] and they noticed a certain number of faults. 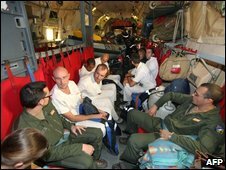 Since then the plane had not returned to France,” Transport Minister Dominique Bussereau was quoted as telling French TV. Mr Bussereau had earlier told French media that bad weather was the likely cause. The European Union Transport Commissioner Antonio Tajani said he would propose setting up a worldwide blacklist of airlines deemed to be unsafe. The EU already has its own list. Reports say the plane was due in the Comoros capital Moroni at about 0230 (2230GMT on Monday). Most of the passengers had travelled to Sanaa from Paris or Marseille on a different aircraft. The flight on to Moroni was also thought to have made a stop in Djibouti. There were more than 150 people on board, including three babies and 11 crew. An airport source told AFP news agency that 66 of the passengers were French, although many are thought to have dual French-Comoran citizenship. This is the second air tragedy this month involving large numbers of French citizens. On 1 June an Air France Airbus 330 travelling from Rio de Janeiro to Paris plunged into the Atlantic, killing all 228 people on board. A search is under way, with the French military assisting with the operation. Officials told AFP that wreckage from the plane, an oil slick and bodies had been spotted in the water a few kilometres from Moroni, on the island of Njazidja (Grande Comore). “The weather conditions were rough; strong wind and high seas,” Yemenia official Mohammad al-Sumairi told Reuters news agency. The BBC’s Will Ross, in Kenya, says that given the fact the crash happened during the night and in the sea, the chances of finding any survivors are slim. The three Comoros islands are about 300km (190 miles) northwest of Madagascar in the Mozambique channel. A resident near the airport told the BBC about 100 people were trying to get into the airport to find out more information, but without much success. The airline Yemenia is 51% owned by the Yemeni government and 49% by the Saudi government. In 1996, a hijacked Ethiopian airliner came down in the same area – most of the 175 passengers and crew were killed. Have you been affected by the crash? Do you have any information about it you would like to share? Doctors have begun heart bypass surgery on Indian Prime Minister Manmohan Singh after he was admitted to hospital in Delhi, Indian media report. A team of six to eight surgeons was expected to operate on the 76-year-old leader, after two blockages were found in his arteries, officials said. Mr Singh previously had bypass surgery in 1990 and an angioplasty in 2004. 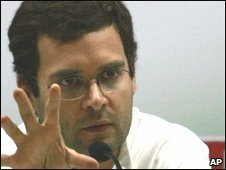 The ruling Congress Party says he will still lead the party in the forthcoming general election which is due by May. Mr Singh underwent tests earlier this week after he complained of chest pains. He will have “coronary artery bypass graft surgery” performed by doctors from the All India Institute of Medical Sciences, India’s top state-run hospital, and the Asian Heart Institute in Mumbai. Doctors say that there is “very little risk” associated with Mr Singh’s surgery and that the prime minister should be fit to resume normal duties in three to four weeks. This is not a good time for the prime minister to be removed from the political fray, given the tense relations with Pakistan in the wake of the Mumbai attacks. Will Rahul Gandhi emerge as a successor to Mr Singh? Congress has so far dismissed concerns that Mr Singh’s health would interfere with its current election campaign. But there has been widespread speculation that party chief Sonia Gandhi has been lining up her son, Rahul Gandhi, heir to India’s powerful Gandhi dynasty, as the country’s next prime minister. Mr Singh has largely been in good health since he was sworn in as prime minister in May 2004, but he recently underwent prostate surgery and has also had cataract treatment. Mr Singh, who studied economics at Cambridge and Oxford, became India’s finance minister in 1991 when the country was plunging into bankruptcy, and is widely regarded as the architect of the country’s economic reform programme. The quietly spoken economist-politician is also seen as the cleanest politician in India, a subject dear to voters’ hearts. Government officials said that Foreign Minister Pranab Mukherjee will take charge of cabinet meetings during the prime minister’s absence. A giant Saudi oil tanker seized by pirates in the Indian Ocean is nearing the coast of Somalia, the US Navy says. The Sirius Star is the biggest tanker ever to be hijacked, with a cargo of 2m barrels – a quarter of Saudi Arabia’s daily output – worth more than $100m. The vessel was captured in what the navy called an “unprecedented” attack 450 nautical miles (830km) off the Kenyan coast on Saturday. Its international crew of 25, including two Britons, is said to be safe. The ship’s operator, Vela International, said a response team had been mobilized to work towards ensuring the safe release of vessel and crew. The hijacking was highly unusual both in terms of the size of the ship and the fact it was attacked so far from the African coast. The seizure points to the inability of a multi-national naval task force sent to the region earlier this year to stop Somali piracy, he says. The US Fifth Fleet said the supertanker was “nearing an anchorage point” at Eyl, a port often used by pirates based in Somalia’s Puntland region. Admiral Mike Mullen, chairman of the US Joint Chiefs of Staff, said the pirates involved were well trained. “Once they get to a point where they can board, it becomes very difficult to get them off, because, clearly, now they hold hostages,” he told a Pentagon briefing in Washington. Hijackings off the coast of East Africa and the Gulf of Aden – an area of more than 1m square miles – make up one-third of all global piracy incidents this year, according the International Maritime Bureau. They are usually resolved peacefully through negotiations for ransom but, given the value of the cargo in this instance, a military response has not been ruled out, our correspondent says. At least 12 vessels – including the Ukrainian freighter MV Faina, which was seized in September – remain captive and under negotiation with around 250 crew being held hostage. This month alone, pirates have seized a Japanese cargo ship off Somalia, a Chinese fishing boat off Kenya and a Turkish ship transporting chemicals off Yemen. War-torn Somalia has not had an effective government since 1991. 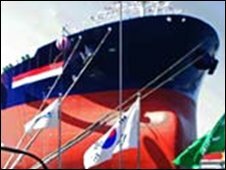 The South Korean-built Sirius Star was seized as it headed for the US via the southern tip of Africa, prompting a rise in crude oil prices on global markets. The route around the Cape of Good Hope is a main thoroughfare for fully-laden supertankers from the Gulf. With a capacity of 318,000 dead weight tonnes, the ship is 330m (1,080ft) long – about the length of a US aircraft carrier. Owned by the Saudi company Aramco, it made its maiden voyage in March. As well as the two Britons, the ship’s crew members are said to be from Croatia, the Philippines, Poland and Saudi Arabia. Police in the southern Indian state of Karnataka have arrested over 60 people in connection with attacks on churches and clergymen over the weekend. More than a dozen churches were ransacked by alleged activists of the radical Hindu group Bajrang Dal. The Bajrang Dal claims that Hindus are being illegally converted to Christianity in the area. 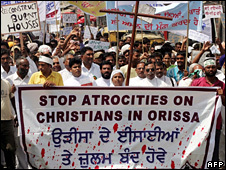 Last month, anti-Christian violence in the eastern Orissa state led to the deaths of at least 20 people. 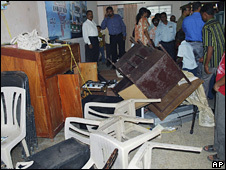 The police in Karnataka say that churches were attacked by mobs in the districts of Udupi and Chikmagalur on Sunday. Over 60 people have been detained after outraged Christian groups protested and called for a shutdown in the coastal city of Mangalore, which is the worst affected by the violence. Last month more than 2,000 schools run by Christian organizations in Karnataka shut down for a dayin protest against the anti-Christian violence in Orissa. Karnataka is ruled by the Hindu nationalist Bharatiya Janata Party, which has close ties with the Bajrang Dal. “The BJP is responsible for the attacks. It is creating social disharmony,” the main opposition Congress party leader Mallikarjun Kharge said. Meanwhile in Orissa two more people were killed and 12 injured when police opened fire on a rioting mob in Kandhamal district on Saturday. The district has seen large scale violence since 24 August in which at least 20 people have been killed and dozens of churches and thousands of houses torched. Saturday evening’s incident took place at Kurtamgarh village where a mob went on the rampage burning houses and prayer halls. When security forces tried to disperse the crowd, somebody from the crowd shot and injured a policeman, the police said. The police say they were forced to open fire, resulting in the deaths of two people. On Friday night, six houses and a Christian prayer house were torched by a mob in Kandhamal district, the police said. 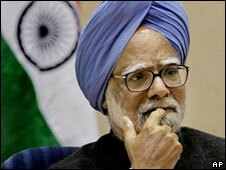 The Indian Prime Minister Manmohan Singh has described the violence in Orissa as a “national disgrace”. Correspondents say Hindu groups have long accused Christian priests of bribing poor tribes and low-caste Hindus to change their faith. Christians say lower-caste Hindus convert willingly to escape the Hindu caste system. 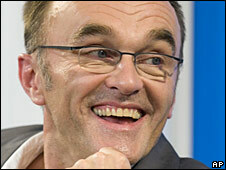 British director Danny Boyle has won the Toronto Film Festival’s main prize for Slumdog Millionaire. The People’s Choice Award, voted for by film fans, is regarded as an early indicator of success at the Oscars. The film, starring Dev Patel, charts the life of a poor boy’s rise to fortune living in the Indian slums. Boyle, 51, received critical acclaim for previous gritty works such as Shallow Grave, Trainspotting and the zombie-horror film 28 Days Later. Previous winners of the Canadian award include the London gangster film Eastern Promises by acclaimed director David Cronenberg. Patel plays orphan Jamal, who appears on the Indian version of the hit TV game show Who Wants to be a Millionaire. Originally, Boyle said he had hoped for an all Bollywood cast. However, that was not possible as local Indian actors “didn’t look enough like losers” for the main role of poor Jamal. “It’s a great underdog story,” he said. Bollywood star Anil Kapoor also stars in the movie, along with newcomer Freida Pinto. Winners of the award are also presented with $15,000 (about £8,400). Five suspected bomb blasts have been reported within minutes of each other in markets in India’s capital, Delhi. At least seven people were killed in the blasts, police said, while at least 30 people are said to have been hurt. The explosions are not thought to have been very powerful but they happened in areas crowded with evening shoppers. The exact cause of the blasts is not known but bombs are suspected. 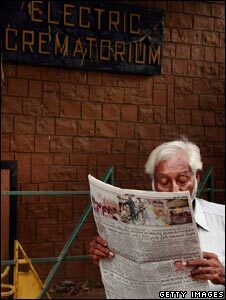 Crude explosives have been detonated in several Indian cities recently. More than 400 people have died in separate attacks since October 2005, with the cities of Ahmedabad and Jaipur among those hit. India has blamed Islamist militant groups for these previous bombings. Two of the latest blasts in Delhi are believed to have happened metres away from each other in the central shopping district of Connaught Place. Another blast took place in a market in the Greater Kailash area in south Delhi. A BBC producer who visited the scene said a low-intensity explosion had scattered glass over a large area, near a popular cafe. Two of the other explosions were reported in Delhi’s Karol Bagh area and on the Barakhamba Road.